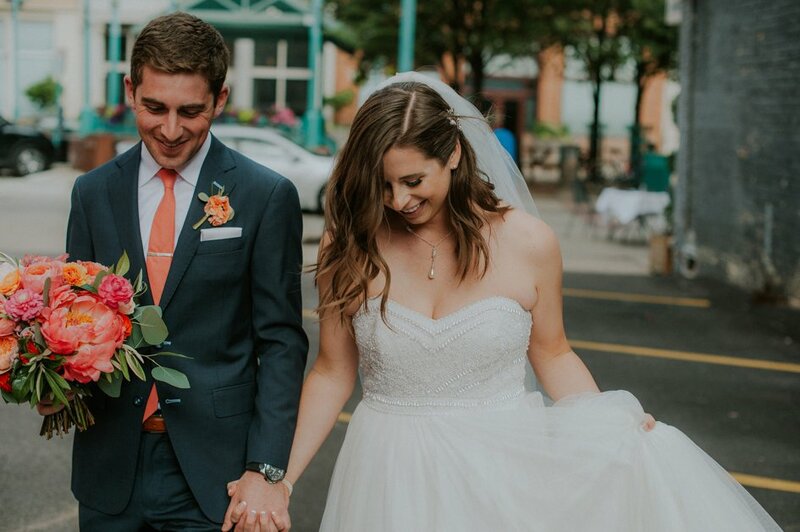 These high school sweethearts went to rival high schools but found common ground at a frozen custard stand. 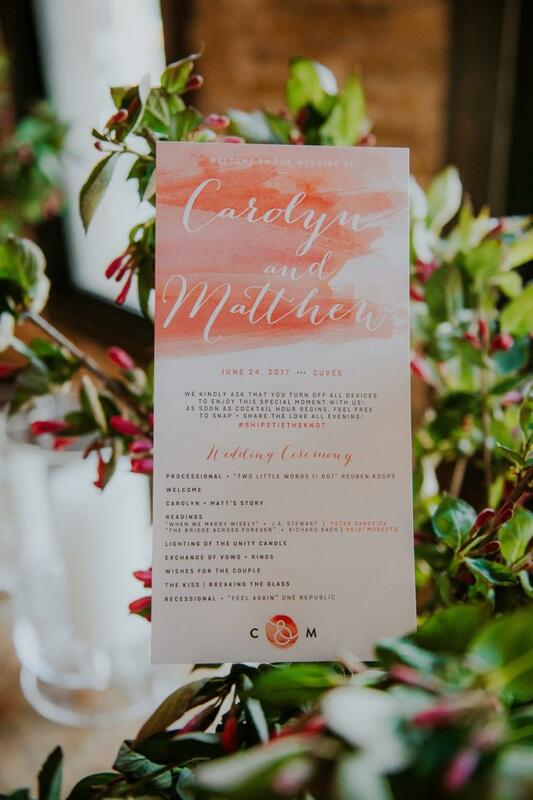 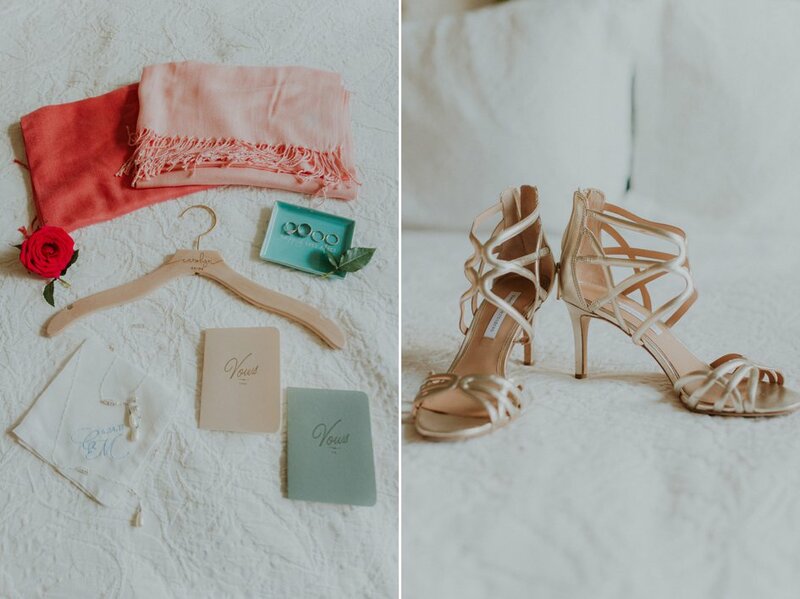 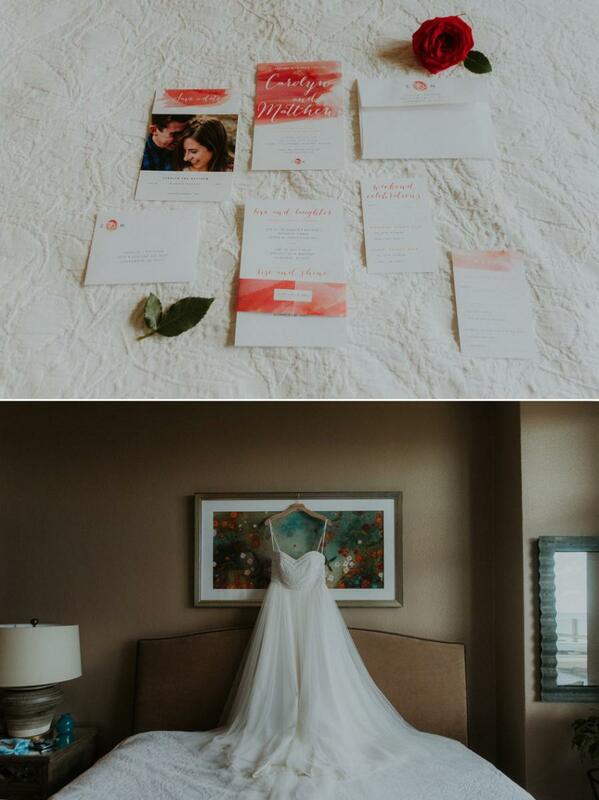 After a surprise engagement in Mexico, Carolyn and Matt began to plan a wedding that would reflect their relationship in a unique and personal way. 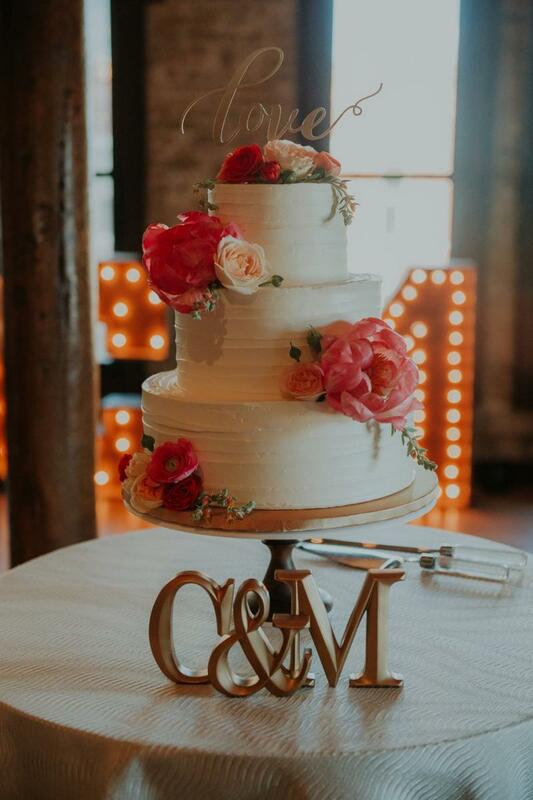 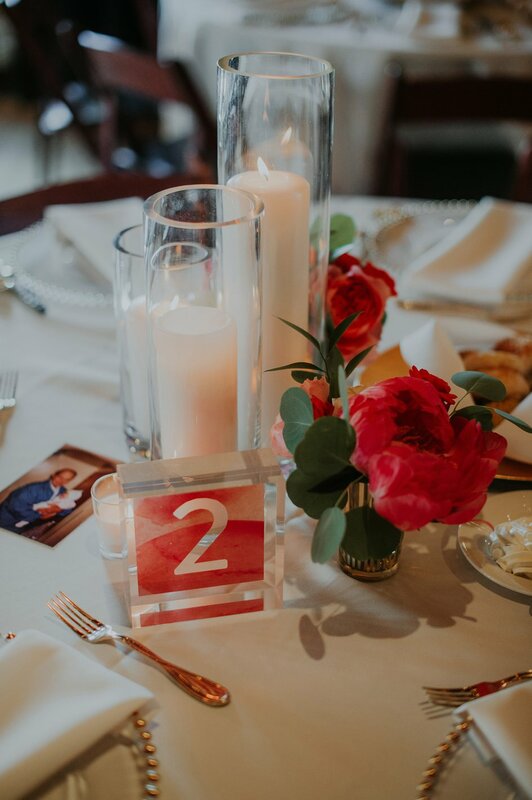 Fun details included hand-painted watercolor detailing, pillar candles, and string lights in their champagne lounge venue located in Milwaukee’s HIstoric Third Ward District. 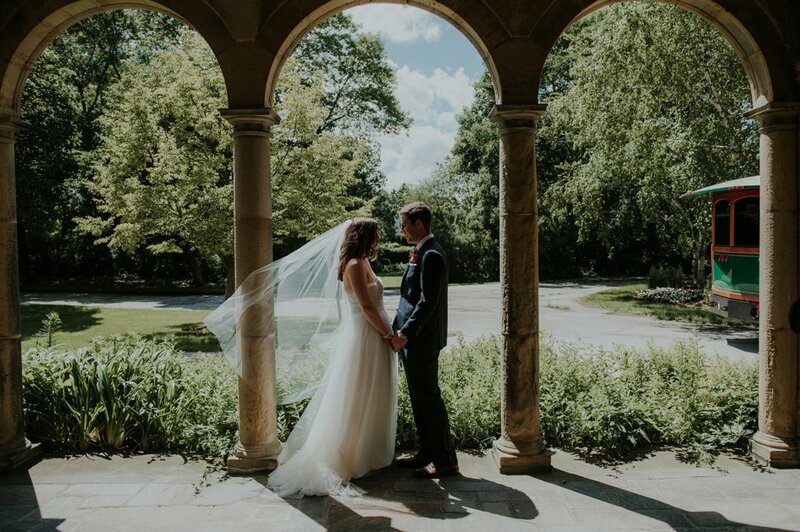 Matt’s father officiated the ceremony which added a deeply personal element to the service. 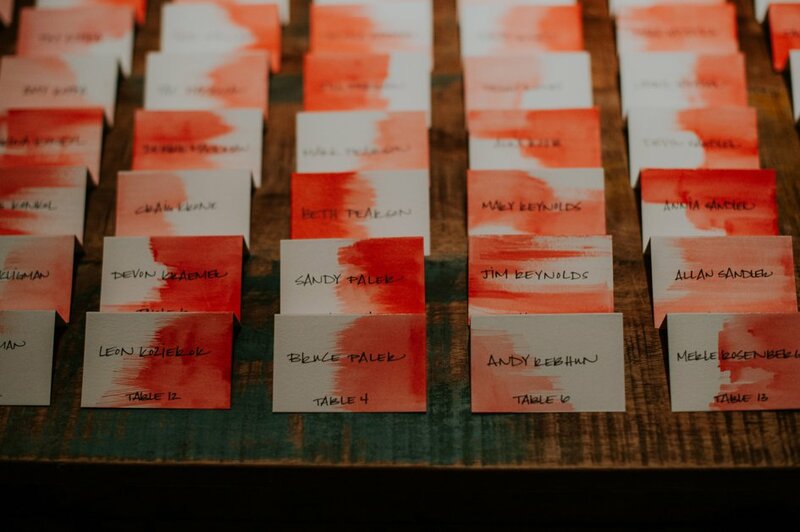 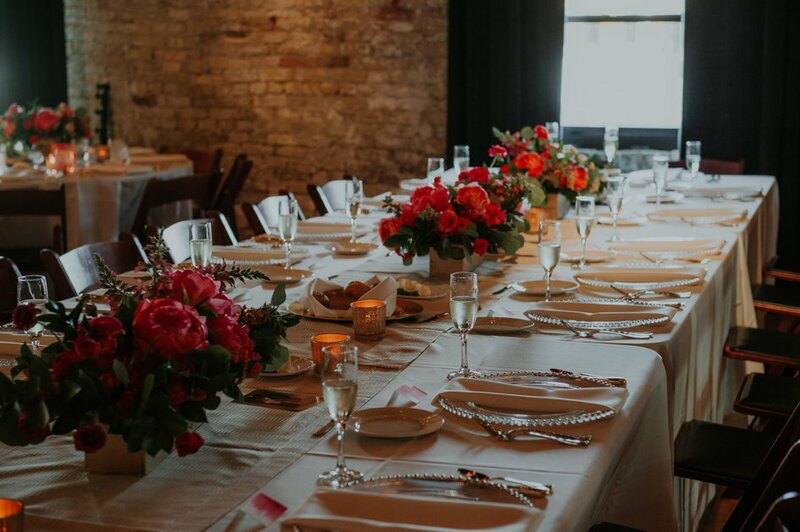 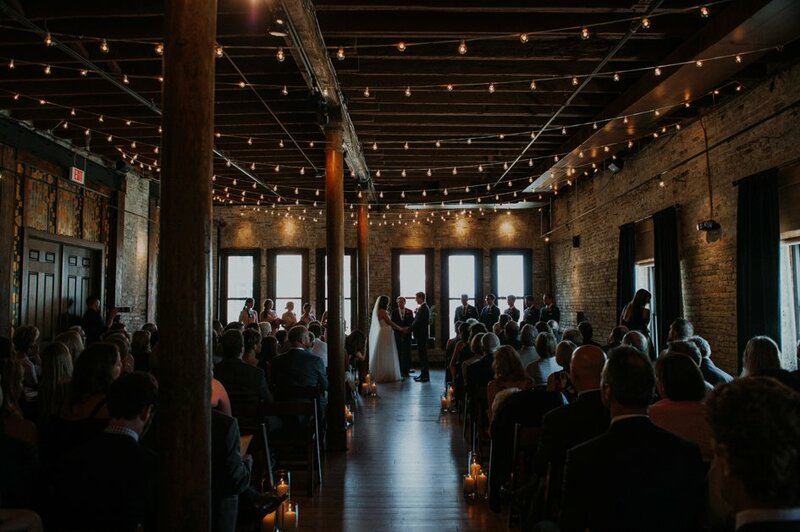 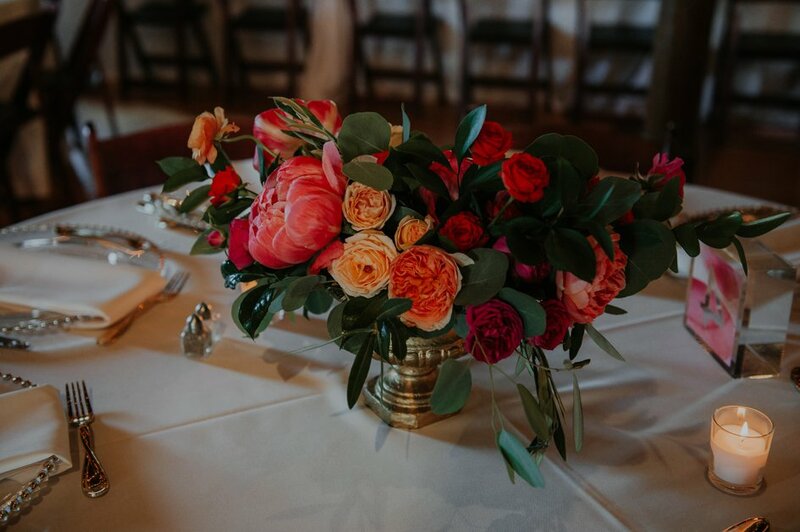 Known for its historic roots, the venue provided a modern, updated space with exposed brick and dark wood accents. 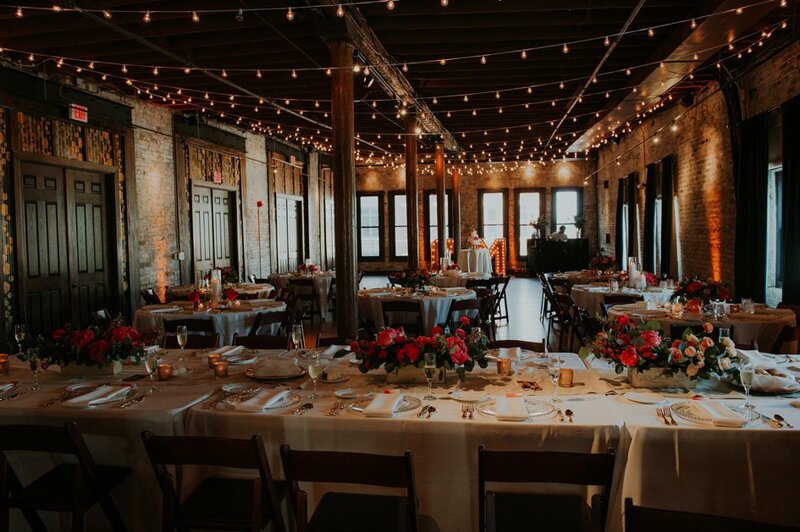 Gold touches and uplighting created a warm elegant feel as guests dined with one another. 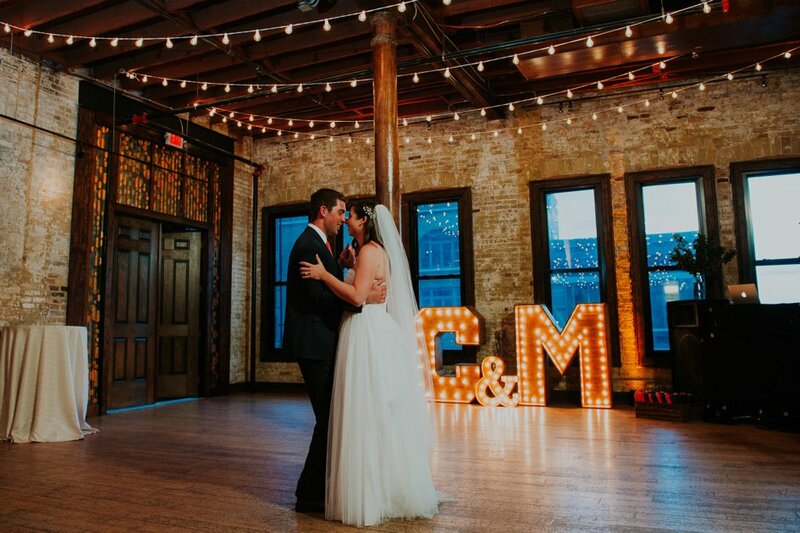 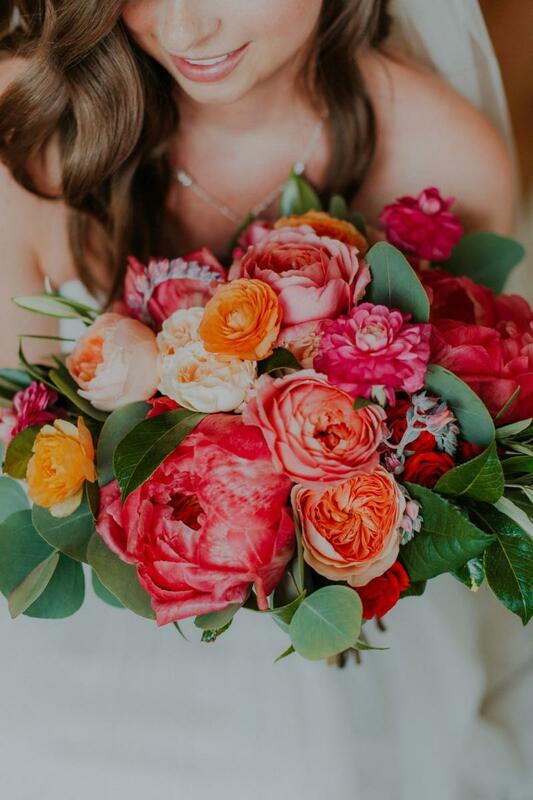 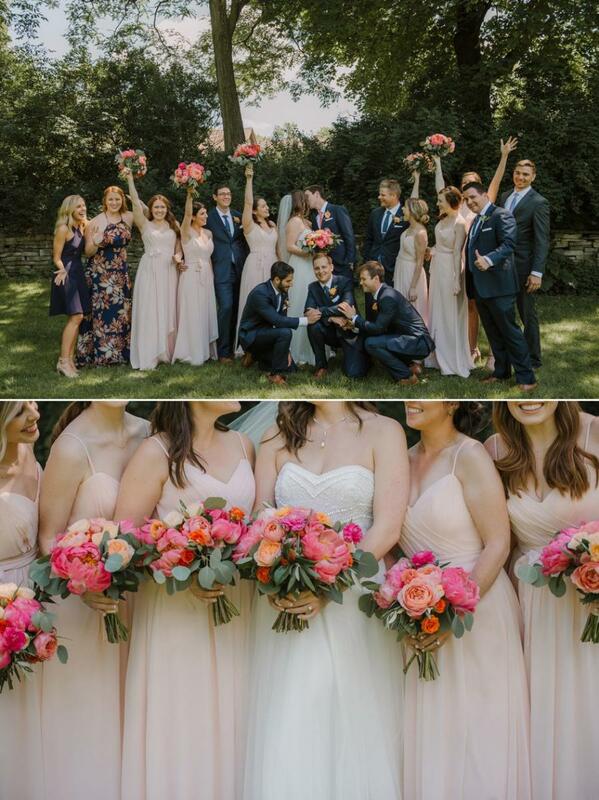 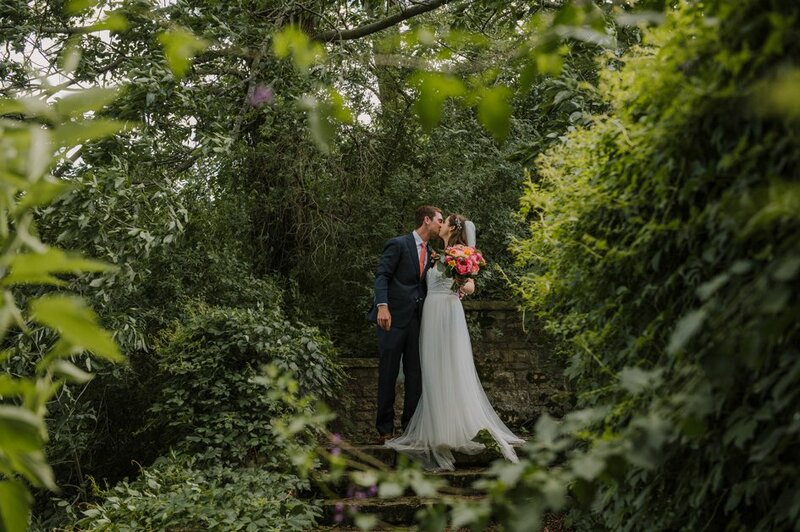 Carolyn and Matt created a day filled with friendship and love as they entered a new life stage together.